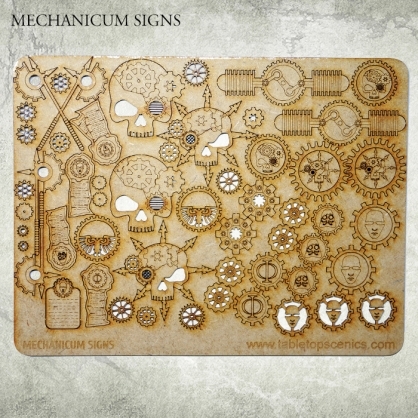 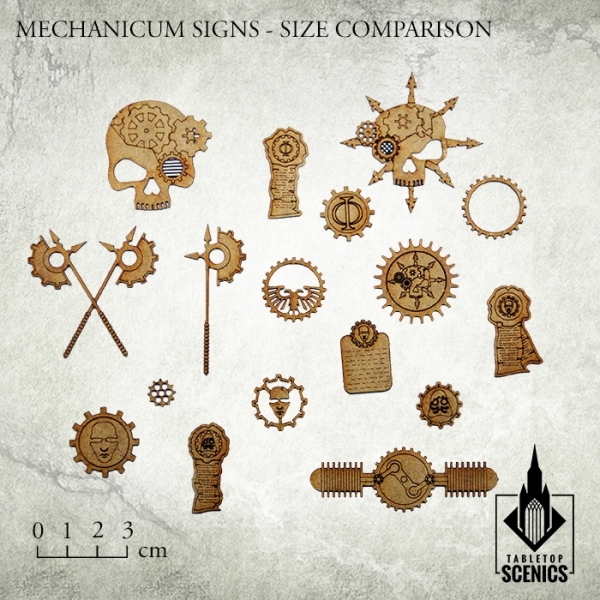 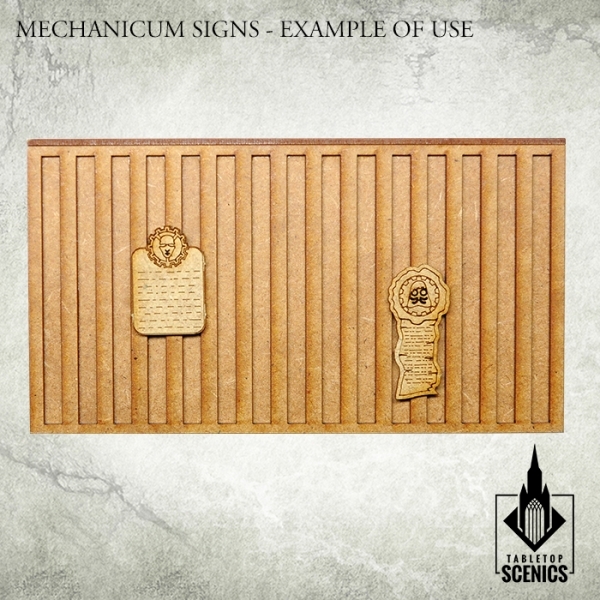 This set contains one 1,5mm thick HDF plate full of Mechanicum Signs that you can use for your modelling projects. 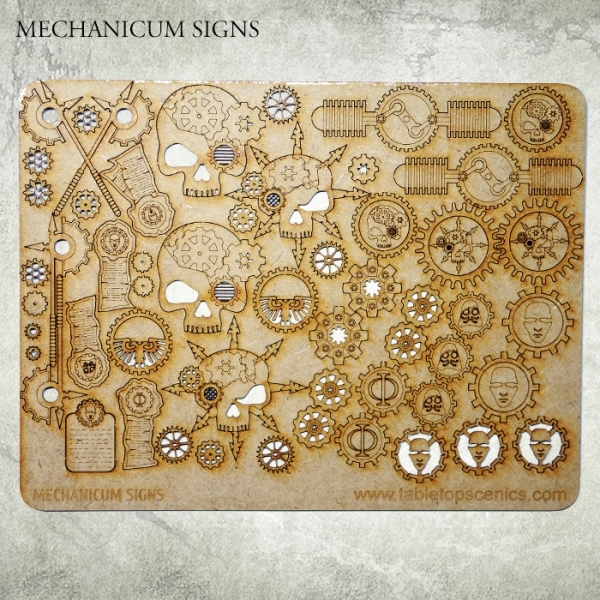 Each sign needs to be cut out from the plate. 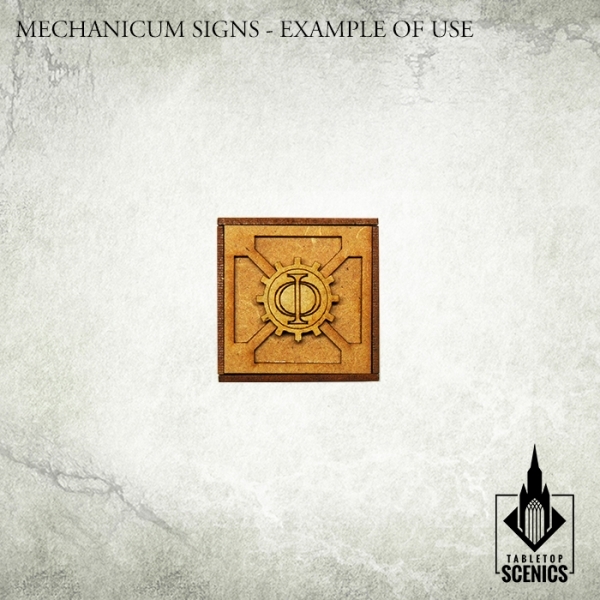 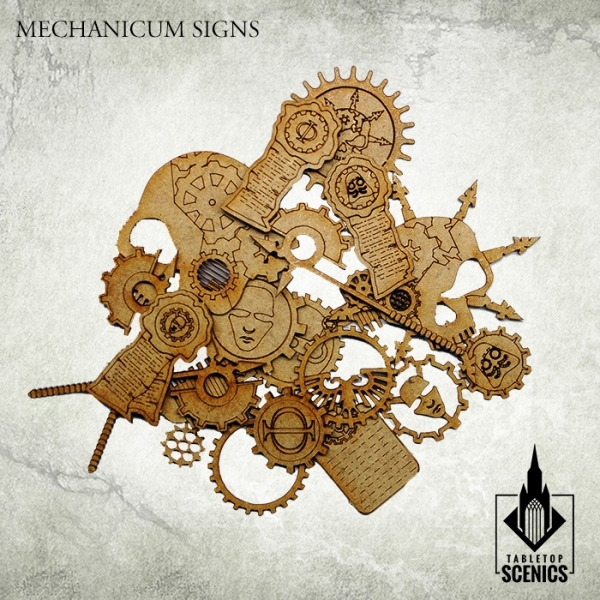 An upgrade pack fitting any terrain, Mechanicum Signs can be attached to any terrain, miniature or base. 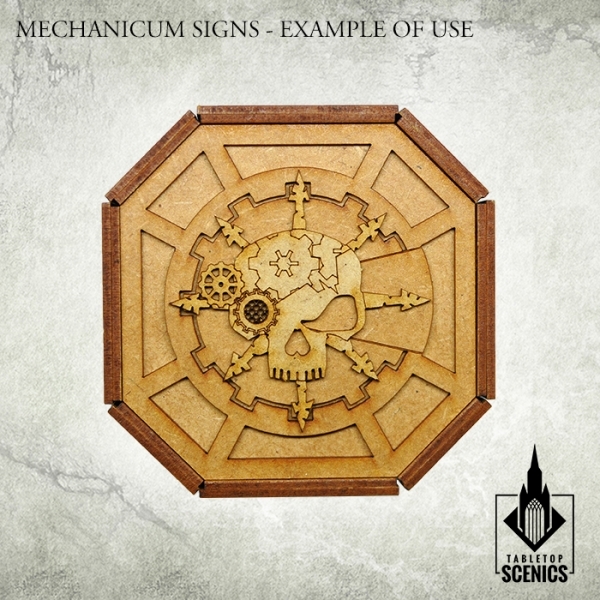 Marking the presence of 'Forge-priesthood' on your board, these signs contain sacred texts, prayers as well as symbols of Forge Father and Chaos turned Mechanicum.